The most sensational moments in life are engrained in our memories due to their intensity, their uniqueness, and their special elements. The interplay and interactions of sound, taste, and smell can help cement special events, locations, and even conversations into our mind. Here are a handful of the most memorable and unparalleled private dining experiences that exist across the U.S. and beyond. The world’s largest green roof farm is located in the heart of the world’s Big Apple: New York City. Situated atop two roofs, Brooklyn Grange is the country’s leading rooftop farming business and cultivates more than 50,000 pounds of organically-grown produce each year. The farm team simultaneously leads an apiary with more than 30 honey bee hives on roofs sprinkled throughout the city. Brooklyn Grange grows and distributes its fresh vegetables and herbs locally, yet also hosts events and educational programs. They also provide consultation and installation services to clients around the world, in order to promote more urban farming and green roofs. Locally, Brooklyn Grange partners with various non-profit organizations throughout the state who share a similar mission of growing healthy, cohesive communities. 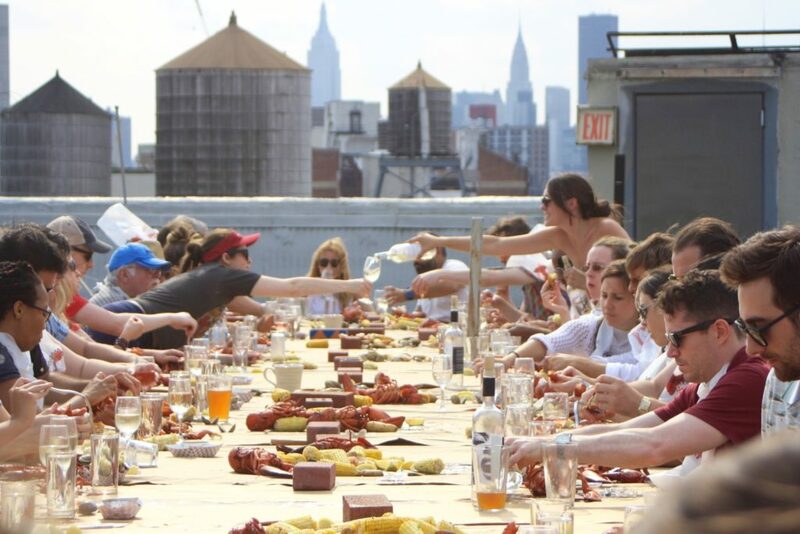 You can book a private event—brunch, lunch, cocktail reception, dinner, team retreat, wedding—at the 65,000-square-foot Brooklyn Navy Yard (with a capacity of 150 people), or the 60-person Flagship Rooftop Farm at Northern Boulevard a few minute from Midtown Manhattan. Round Pond Estate in Napa Valley is rooted in what continues to become a complete novelty: farm-to-table experiences and products. The Estate Winery Terrace is graced with sun-kissed mornings and the Round Pond Red truck escorts guests through the vineyards for full estate tours from vinegar and olive oil to wine, honey bee hives, and gardens. 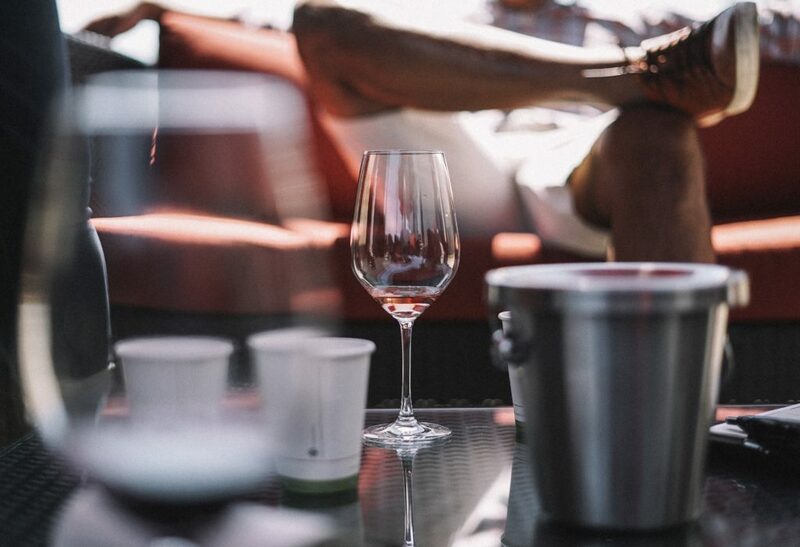 The estate hosts an array of unique private events including educational wine tastings, olive mill tastings, and multi-course dinners with seasonally-paired wines. Join for the signature tour and lunch for one of the top private dining experiences on the west coast. 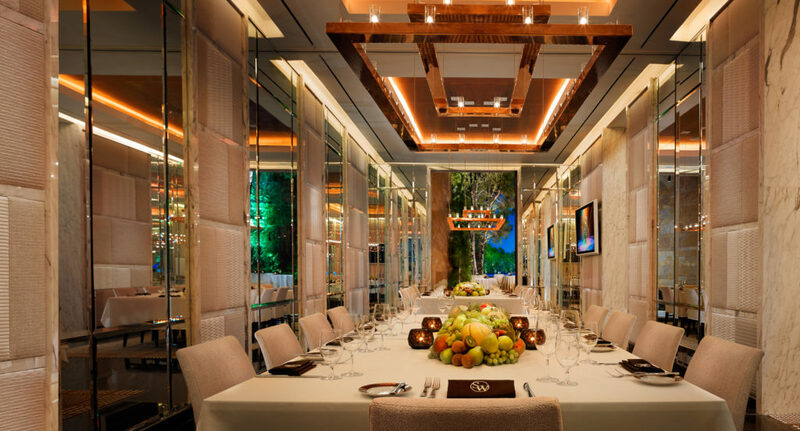 The SW Steakhouse at the Wynn Las Vegas dazzles and delights the senses with their private dining options. The leading steakhouse features one-of-a-kind artistic performances—imagine a contemporary puppet show with spectacular, glowing lights and light drum beats—every 30 minutes. Led by Chef David Walzog, the restaurant is a Forbes Travel Guide Four-Star Award-winning steakhouse. Consider ordering the chili-rubbed double rib eye, which was highlighted on Food Network’s “Best Thing I Ever Ate,” or consider ordering from the vegan menu, courtesy of Steve Wynn’s wife. 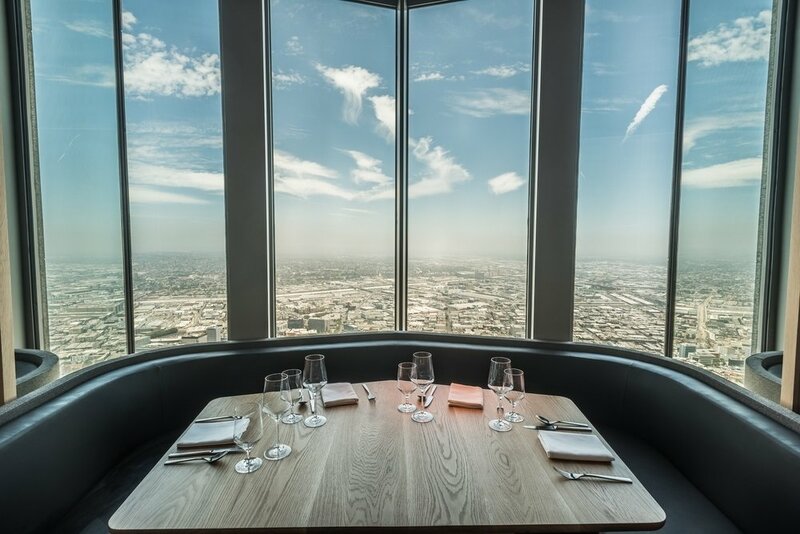 The modern and cutting-edge atmosphere of the 71Above Restaurant and Skylounge in Los Angeles is paralleled by its spectacular menu. Guests can reserve a one-of-a-kind culinary evening curated by Chef Vartan Abgaryan. The journey begins with a seat in front of the open kitchen and allows the dining party to engage with the workings of the culinary team. In the mountains of Aspen, CO, our farm-to-table restaurant The Little Nell offers an exclusive one-on-one dining experience in the private wine cellar, the Red Light Lounge. A chef, master sommelier, and server are all-hands-on for your dinner party of 4-6 guests featuring a five course meal paired with rare wines. 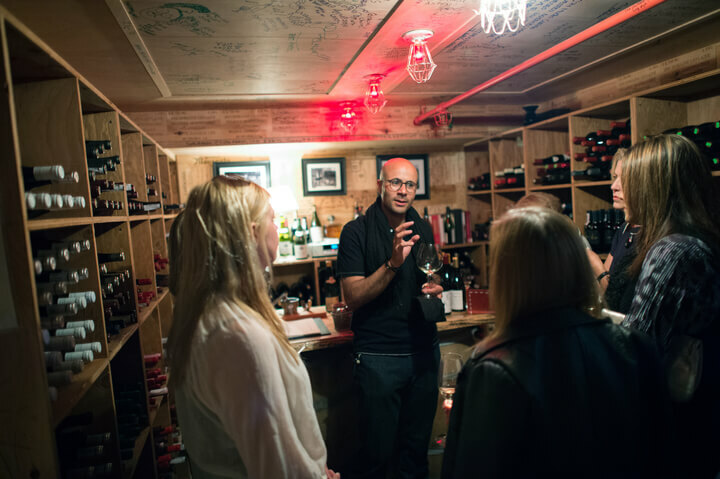 Groove to music, learn about the wine, and look back in history: the walls and ceilings are covered in wine boxes signed by past guests including notable visitors from the food and wine industry. 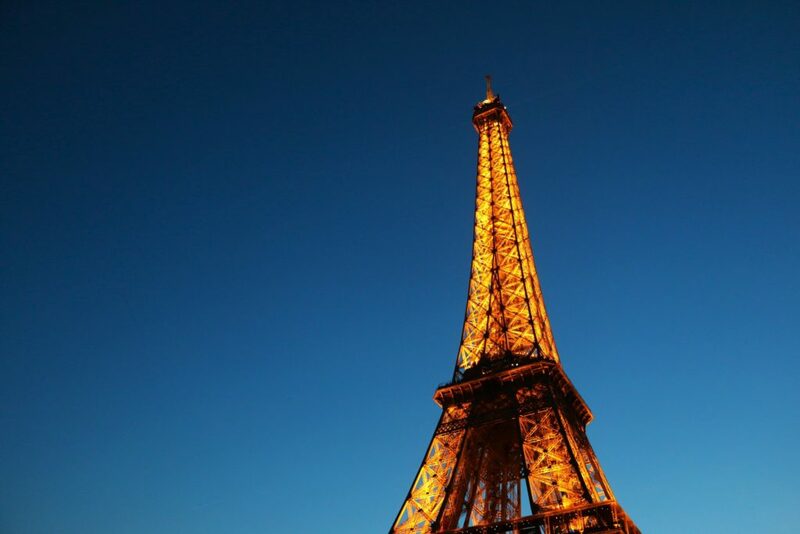 When you visit the once-in-a-lifetime city, don’t miss dining 125 meters above the city lights at the Jules Verne in the Eiffel Tower. At lunch, you can soak up the city’s most spectacular bird’s-eye view of the historic metropolis with a three-course meal and wine pairing. For farewell, guests depart with specialty gift boxes to reflect on the exceptional memory: a menu signed by Chef Pascal Feraud and two chocolate bars. The dinner experience includes a 6-course meal and a menu signed by Chef Feraud—after meeting him—along with two chocolate bars and a half-bottle of rose Ruinart champagne. These sweet-as-sin private dining experiences transform a eloquent dinner to a memorable experience. Eat your way around the country and stop into the restaurants mentioned above. Tell them we sent you.